Feel refreshed and soothed when you go to Harmonia Spa for beauty services. We offer a variety of spa treatment services for men and women. 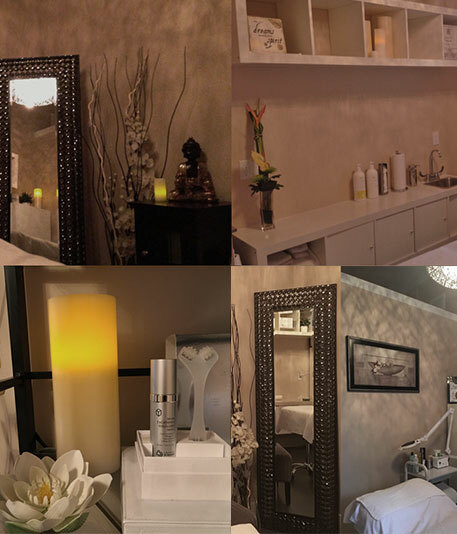 Our beauticians make you feel like a different person after you leave our spa. Call us today to learn more about our services. Treat yourself or a special person in your life with a little pampering. Our Spa packages are appropriate for any occasion or everyday care. You can purchase a gift certificate in any denomination, online, or at our location. Please note that gift certificates are not redeemable for cash and are not replaced if lost or stolen. Prices and treatments are subject to change without notice. The listed prices do not include taxes. If you have any questions, feel free to call or email us. For a revitalizing spa day package, we offer this therapeutic package. This last 2.5 hours and includes a restorative facial, express manicure and luxury pedicure. In this full spa package, you get treated to the finest treatment services we offer. This lasts 3 hours and includes an express facial, express manicure, luxury pedicure, and full body exfoliation.